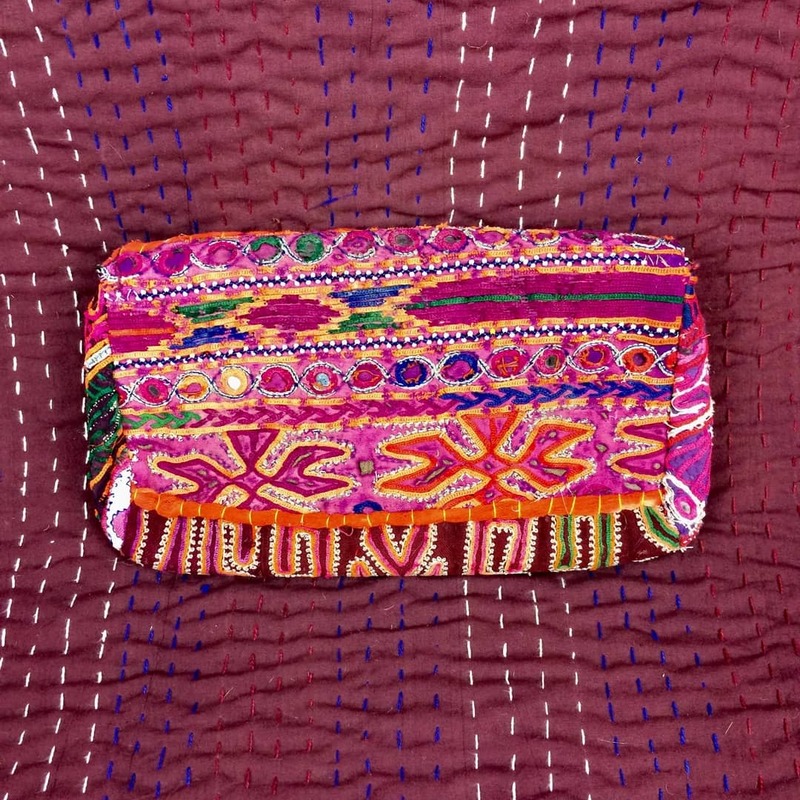 High class hand embroidery. 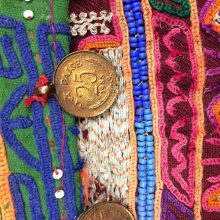 Shisha mirror work, coins and Pompoms!! 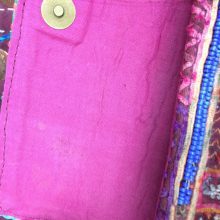 A magnetic clasp fastening system for the main pocket, featuring a secondary inner (zip) pocket. 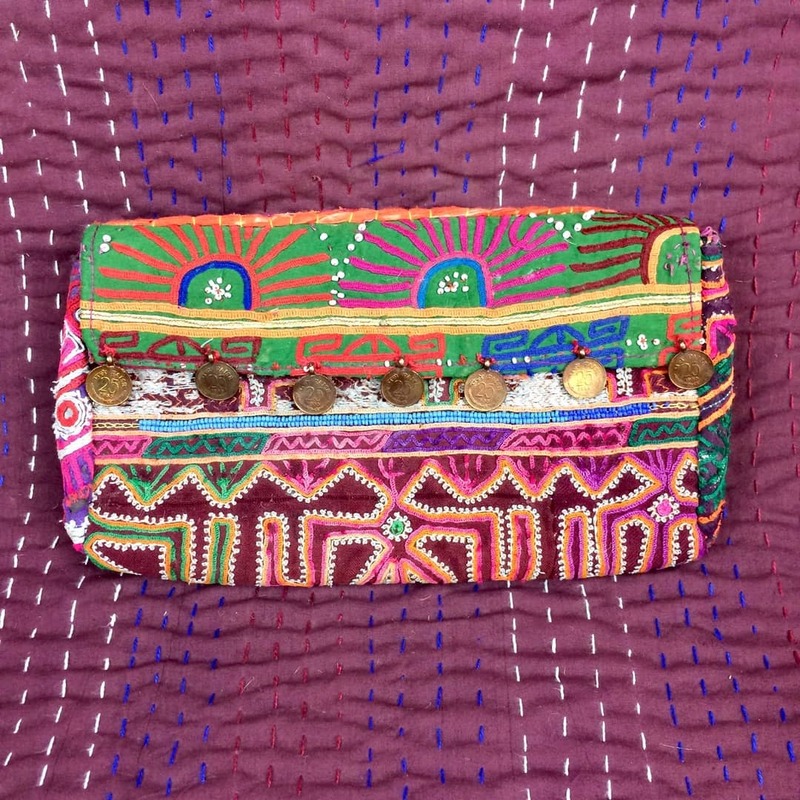 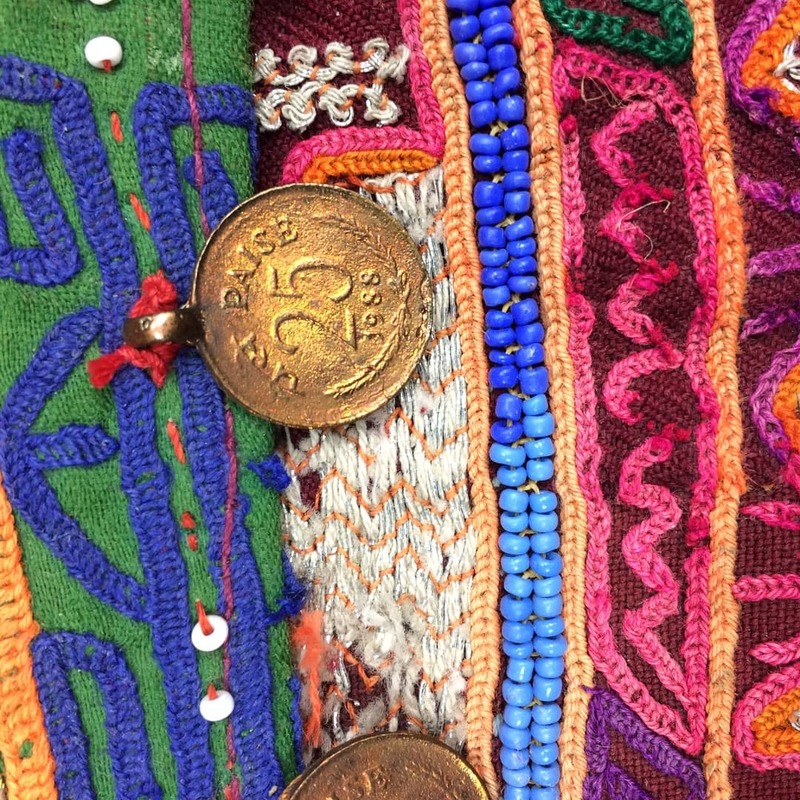 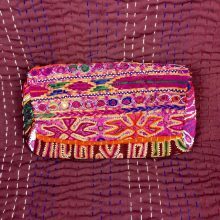 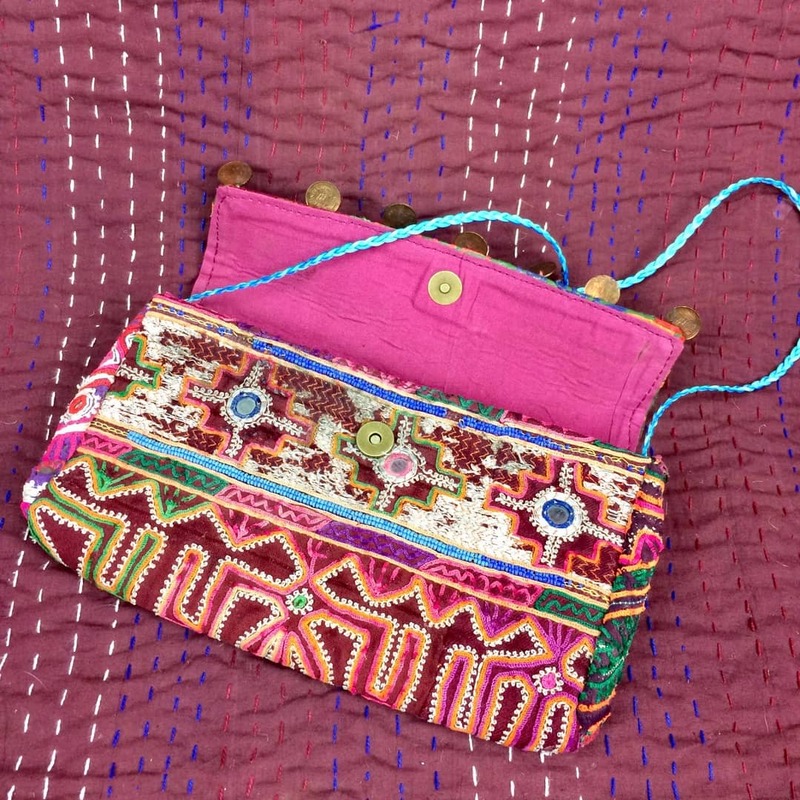 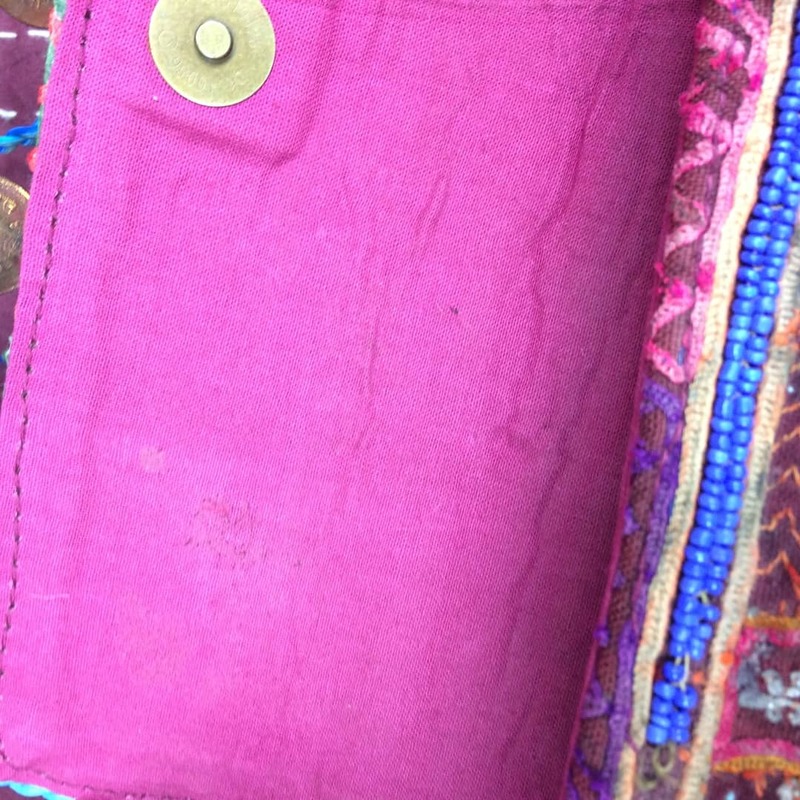 The embroidery on each Indian clutch bag has been done by hand.